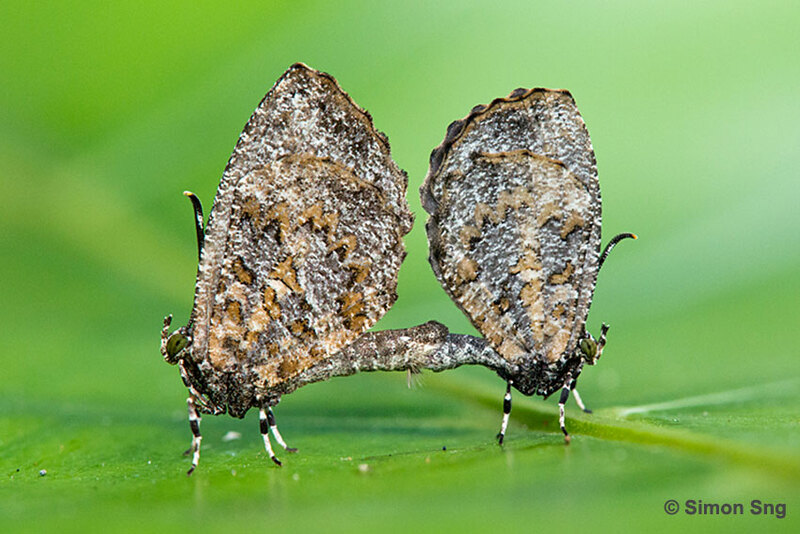 The Subfamily Miletinae features butterfly species whose caterpillars are considered "carnivorous" as they feed on coccids, mealy bugs and aphids. Amongst the species found in Singapore, is the Pale Mottle (Logania marmorata damis). This species is a small butterfly with a wingspan of about 22mm. It has a restless but weak flight, often flying for long periods of time without stopping. 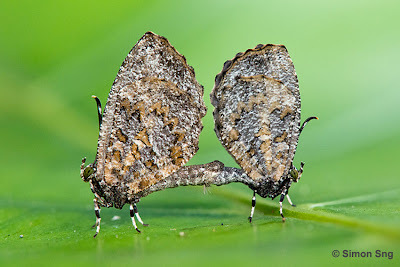 This mating pair of the Pale Mottle was spotted by ButterflyCircle member Simon Sng on Pulau Ubin last weekend. The pair remained still and cooperatively allowed many shots to be taken of them as they remained attached.